Ruraidh MacNeill, originally uploaded by ccgd. 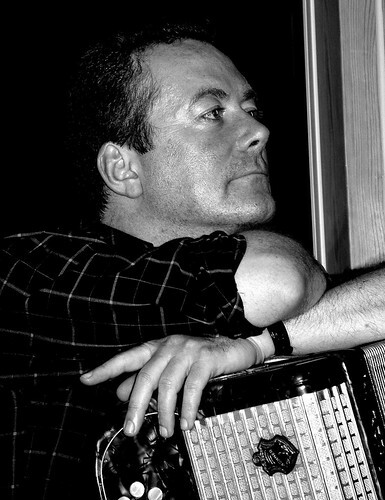 Ruraidh - just after finishing his turn on the accordion when we were away last week at Sabhal Mor Ostaig. I have been working on on my B&W portraits for a while now, and I'm quite pleased with this one. 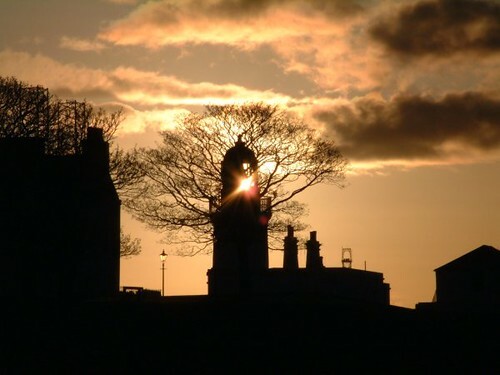 Sunset through the lighthouse, Cromarty, originally uploaded by ccgd. Ben Tongue, Ben Hope and the Kyle of Tunga, originally uploaded by ccgd. Taken from the Watch Hill, Coldbackie. Some time ago now. 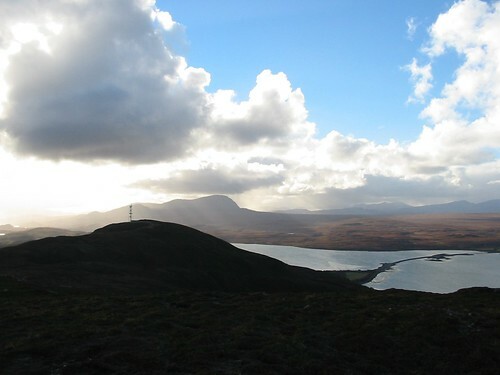 Great view from the hill, its only 1008 feet, but you can see from Orkney to the West Coast. 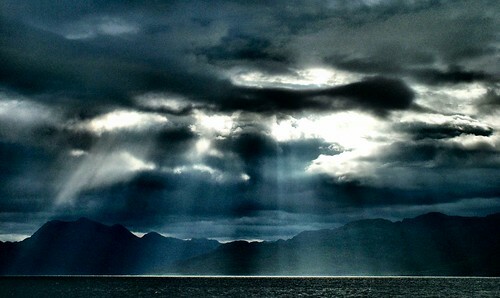 Sunburst over Knoydart, originally uploaded by ccgd. Last week was a very wet week in Skye - at Sabhal Mor Ostaig. Saw some dramatic sunburst though. Working hard, originally uploaded by ccgd. 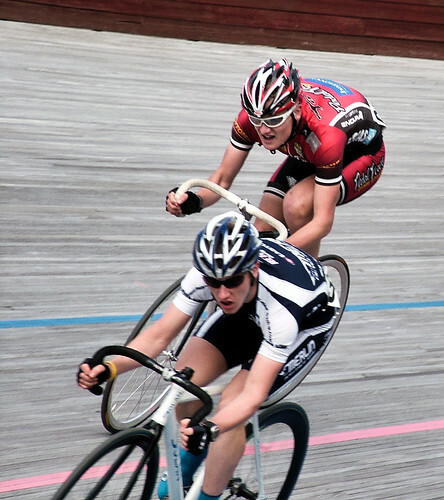 Meadowbank Velodrome, Edinburgh on Saturday afteroon. Magnus was racing in the Borders, but we were staying in Edinburgh so caught the last of the track races at the Velodrome. Crane Barge Clouds and Sun, originally uploaded by ccgd. 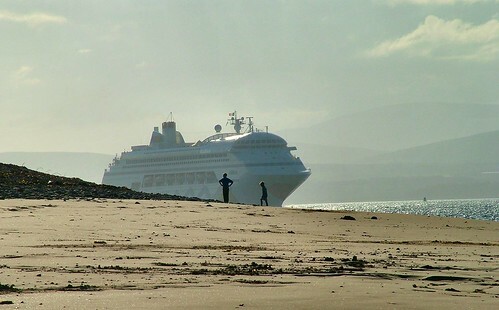 A crane barge sits outside the Firth, dwarfed by the Sutors and the sky. Took this last week, just before I headed over to Skye for five days (photos and chat to follow), and this was the last sun that I have seen for what seems a long long time. 1000th photo - Calum in the Garden, originally uploaded by ccgd. 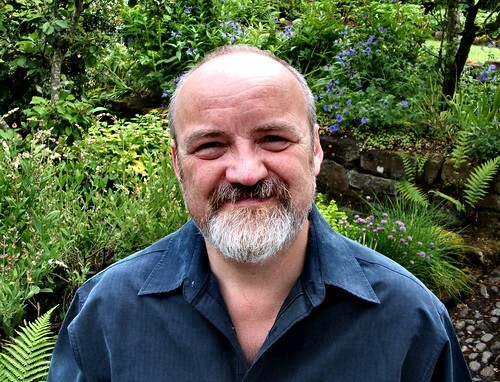 I've been on Flickr since the 9th December 2004, and this is my 1000 photograph. Being on Flickr has radically changed my attitude and enthusiasm for photography, and my attitude towards being photographed! Ruth took this in our garden on Saturday afternoon. 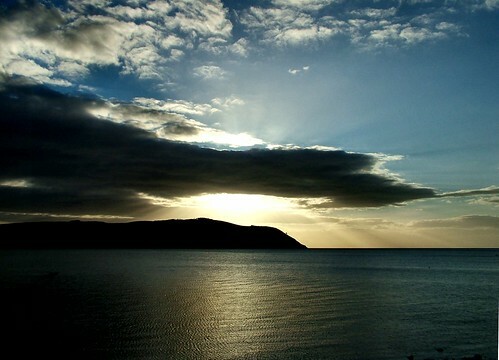 Winter sunrise over the South Sutor, Cromarty, originally uploaded by ccgd. Oblivious, originally uploaded by ccgd. Loganair Saab 340s, originally uploaded by ccgd. 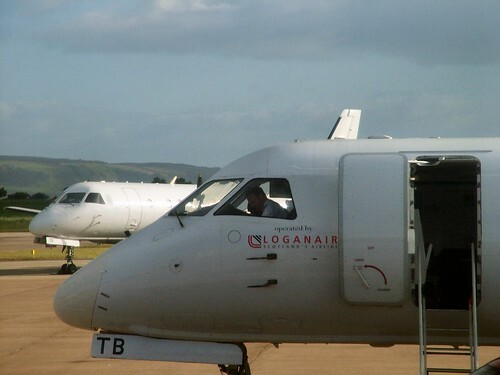 Two Loganair Saab's at Inverness Airport at 7:00am. One for Stornoway and one for Kirkwall. Neither in BA Livery, interestingly. I must admit I miss the old red Loganair paint work, the ghost of which can be seen in the "Loganair - Scotland Airline" logo. I have a soft spot for the airline, as one of their planes once came back for me once (seriously) when I was very late at Inverness Airport for a flight to Wick on on to Kirkwall. They went through a dodgy stretch in the 90's when using Short 360's (affectionately known as the Vomit Comet - I still shudder remembering a long instrument apprach to Sumburgh on very stormy winter day, the pilot started his approach run over Foula!). 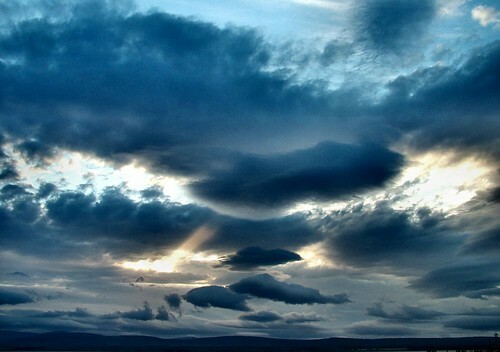 A February day, and the early morning flight from Inverness to Stornoway. Very Windy. No Very Very Windy. We made a crab like approach to the North South Runway, and landed sideways, just as a huge gust caught the wingtip. Instead of the carrying up along the huge Stornoway runway, we went sideways across, engines roaring (and hearing the pilot saying "bugger" over the intercom as fought to control the plane), the front wheel turning 360 degrees and us ended up nose down in the peat - half on half off the runway. Dead silence in the aircraft - nobody hurt, but not quite sure what to do. I looked out the window and saw the crash carts rushing towards us, blue lights flashing. Perfect, lots of relieved laughter, and we were page 3 in the P&J next day - "Drama at Stornoway Airport"
June morning - 5:30, originally uploaded by ccgd. Up at 4:45, and heading off to the airport for the 7:00am red-eye to Gatwick. Drove down Big Vennel (listening to the Financial news on Radio 5 - Radio Scotland does not start until 6:00, can you believe) and turned on to Shore Street to see this wonderful dramatic sunrise. Only a week or so away from mid-summer. 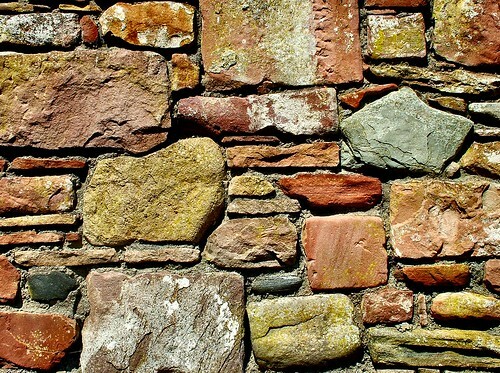 Cromarty Wall, originally uploaded by ccgd. It's a new wall, only 10 years old. Cement mortar not lime, but a pleasing pattern. 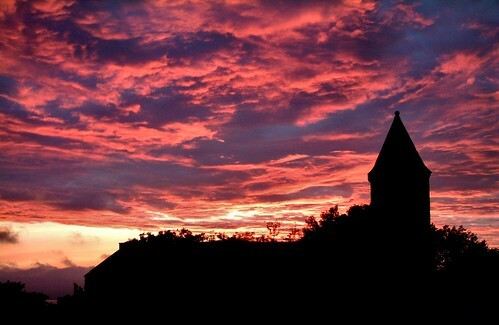 Sunset over the Gaelic Chapel, originally uploaded by ccgd. 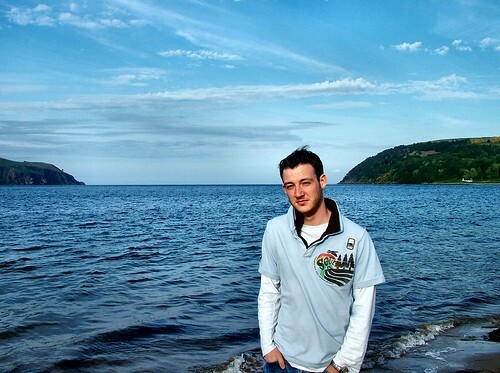 From July 2004 - I discovered this one on my hard drive recently. 1981, originally uploaded by ccgd. 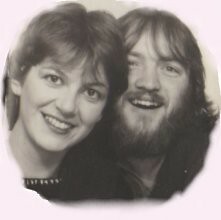 Ruth and Calum in 1981. We were living in Glasgow, I was still a student at the Art School, and Ruth was teaching in the East End. And I have hair. 1976, originally uploaded by ccgd. Ruth and Calum, Inverness 1976. Both still at the Inverness Royal Academy, and Calum pre-beard. Oh yes and I have hair. The shows, originally uploaded by ccgd. Herchers funfair - aka the shows - on Cromarty links. Clouds, originally uploaded by ccgd. Charlie on the beach, originally uploaded by ccgd. Hamish at work, originally uploaded by ccgd. Hamish at work in Sutor Creek, the Highlands best (and only) wood fired pizza restaurant. 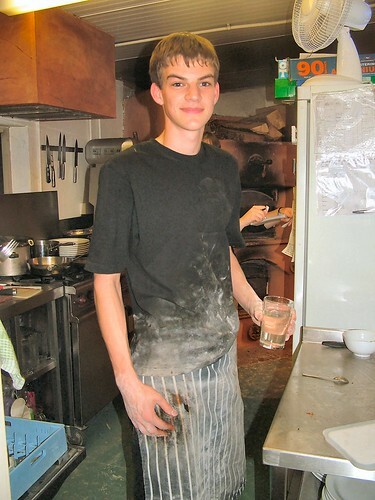 Now he has left school, and waiting to go to Uni on September, he will be working there pretty much full time for the summer. Orange sky Orange sea, originally uploaded by ccgd. 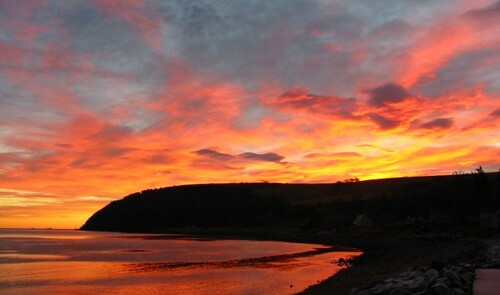 It's getting near midsummer, so we get great warm skies late at night here in Cromarty. 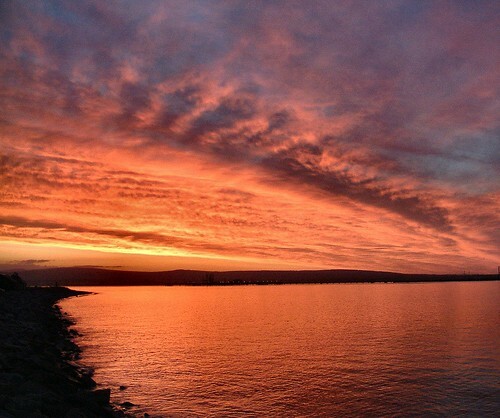 Here is a sunset last summer, looking down Shore Street towards the links. Never look at the sun, originally uploaded by ccgd. 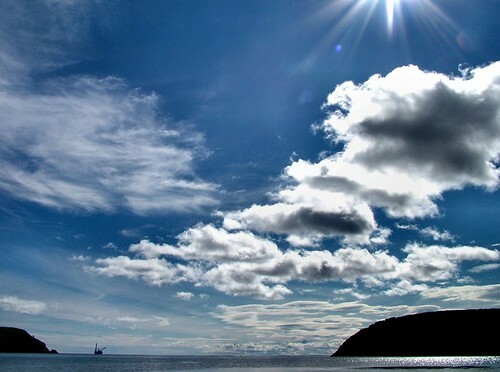 The rest of the UK seems to be bathed in sun, I've just returned from a trip to Maderia and the States where the skys were very blue, but Cromarty is covered in clouds. 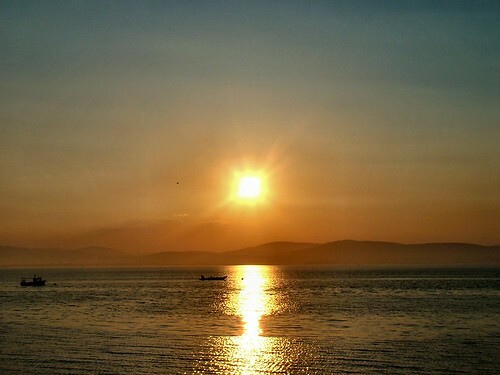 So I thought I'd post this early May shot of a sunset over the Firth. Looking North West over the Ardross Hills. 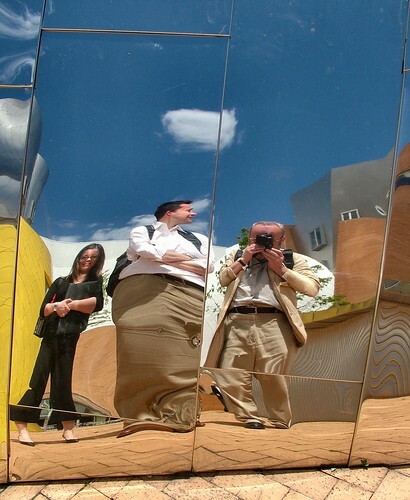 Self Reflection in the MIT Stata Building, originally uploaded by ccgd. Who needs a fun fair?